Digital Temperature Probe 2.0 Metre - Temperature Probes - Monitoring Equipment. 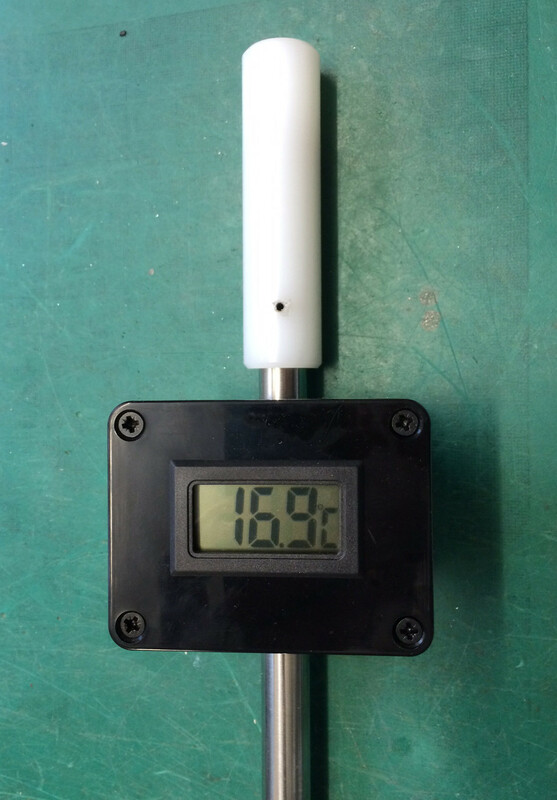 Fully calibrated against a UKAS traceable reference thermometer. Certificate available on request. Designed to offer a low cost temperature measurement facility without accuracy or build quality compromise, the TP2M meets the requirements of the most stringent quality standards in operation in the UK today. Tutn the TP2M on using the switch on the base of the display unit. Place the probe into the compost to the depth required and leave for a few minutes for the probe temperature to stabilise. The unit updates the temperature readout every second. Take a reading, remove the probe and place elsewhere in the compost for the next reading. The permanent temperature display is powered by 1 PP3 sized 9V battery. To change the battery, remove the 4 small outer screws on the cover of the readout unit and replace the battery inside the cover. No other maintenance should be required.